The official trailer for Jack’s upcoming Netflix series, Godless has been released. The series will release on November 22nd! It is a fearful thing, to love what death can touch. THE HOLLYWOOD REPORTER – Jack O’Connell will lead the cast of the Steven Soderbergh and Scott Frank limited series. 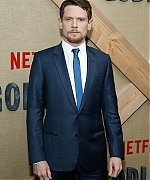 Jack O’Connell is riding to Netflix. The Unbroken star has been tapped to topline the streaming giant’s Western drama Godless, The Hollywood Reporter has learned. Godless, from Steven Soderbergh and Scott Frank, is set in 1884 and centers on Frank Griffin, a menacing outlaw who is terrorizing the West as he hunts down Roy Goode, his son-like partner-turned-mortal enemy. While Roy hides at Alice Fletcher’s ranch, Frank’s chase leads him to the quiet town of La Belle — that is mysteriously made up of entirely women. O’Connell will star as Roy, the injured outlaw on the run from his former boss who was orphaned at a young age and was taken in by Griffin who ultimately breaks up a robbery and takes off with the loot, splitting from his father figure after he no longer can stomach his behavior. 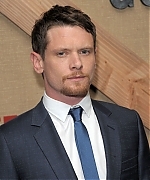 For O’Connell, the role marks his first TV foray after his breakout film role as Olympic track star and World War II POW Louis Zamperini in Angelina Jolie’s Unbroken. Before that, his TV credits included Skins and The Runaway. On the big screen, his feature follow-ups have included Money Monster and Tulip Fever. He is repped by CAA, Conway van Gelder Grant in the U.K. and Sloane Offer.